Designs such as herringbone, Point de Hongrie and Versailles and the most exquisite marquetries. The typical markings of installed natural wood faithfully emulated. Metalized ceramics, slates, marbles and cements. Hyper realistic designs that reproduce perfectly the irregular patterns of stony floors. 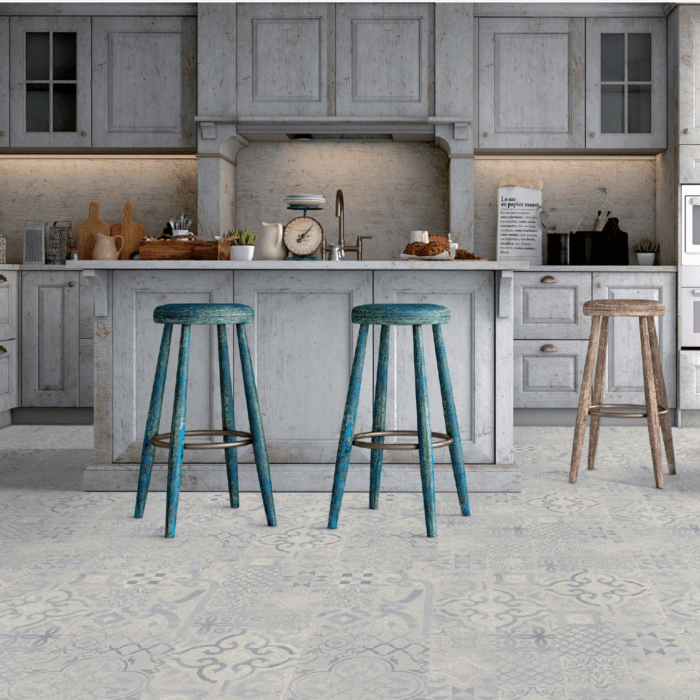 Collection composed of hydraulic tile designs. Elms, Oaks, Olive trees, Maples, Walnuts, Jatobas, Hickory and Pear trees. Natural wood designs such as oak, cherry, beech and walnut. 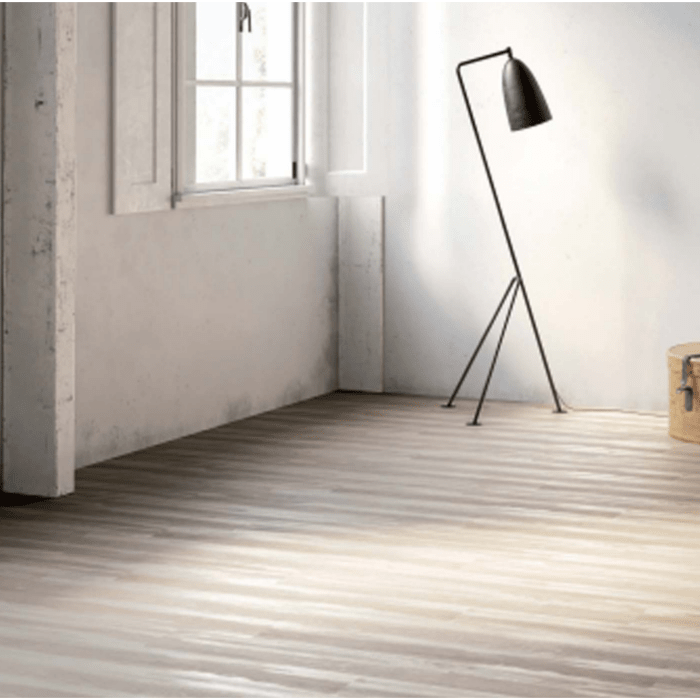 Each FAUS laminate flooring has been created with an artisan mime, destined to last over time maintaining its natural beauty and technical qualities. To achieve this, we invest all our resources and efforts in designing every detail of each piece, applying unique manufacturing processes and selecting each material with the higher rigor. The result obtained are inimitable decorative solutions, original, exclusive and with a marked character of sophistication and elegance. We aspire to identify our products with the way of life of our customers, getting integrated inside their homes, offices and spaces in a natural way. 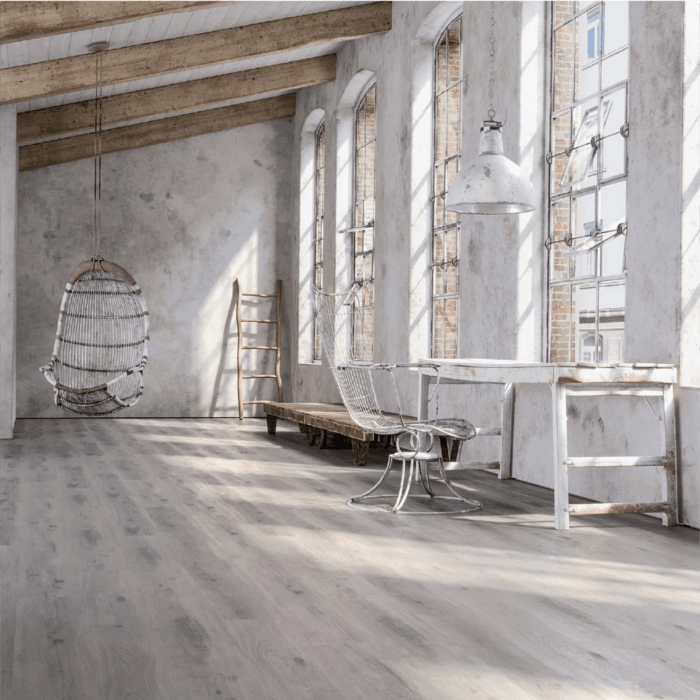 Modern, rustic and vintage designs form our range of FAUS interior laminated floors, offering a wide variety of shades and finishes. Our laminated parquets are manufactured with first quality materials; therefore they have the best qualities and technical specifications. They are resistant to abrasion, impact, scratches and moisture (non-slip). Classified as AC6 and AC5 (FAUS does not manufacture floors AC4), class 33 and with warranties of more than 25 years. 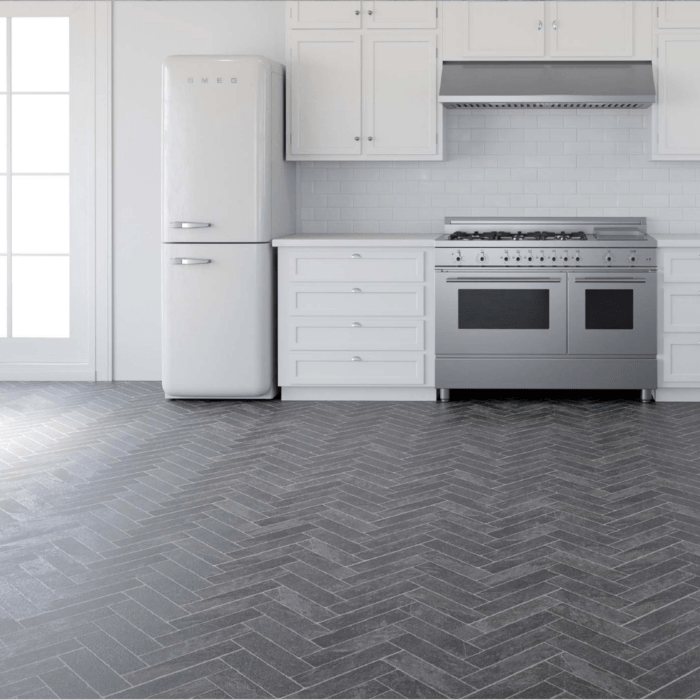 In addition, the laminated or synthetic floors, being fireproof, antistatic, antibacterial, anti-allergenic and waterproof, become the ideal pavement for families, to be installed in the living room, in kitchens and bathrooms and to be used in commercial spaces and any type of stay, unlike the parquet, a much more delicate pavement. Thanks to its anchoring system, they offer great resistance to traction and due to their patented technologies, such as jointguard, microbevel, interplank, longstrip, multidirection and many others, FAUS floors stand out for the realism of their designs. And they also emulate perfectly the oak, walnut, cherry, elm, chestnut, maple, beech, jatoba, hickory, pear and olive. The range of stratified floors of our brand covers a wide variety of models, colours and designs. In our eight collections: Masterpieces, Elegance, Retro, Industry Tiles, Stone Effects, Cosmopolitan, Syncro and Tempo; We offer the client all kinds of tones, such as light, grey, dark, brown and white, combined with imitation of wood, ceramic, slate, hydraulic tile and even marble imitation textures, they emulate perfectly the most exclusive and beautiful materials for decoration and architecture. 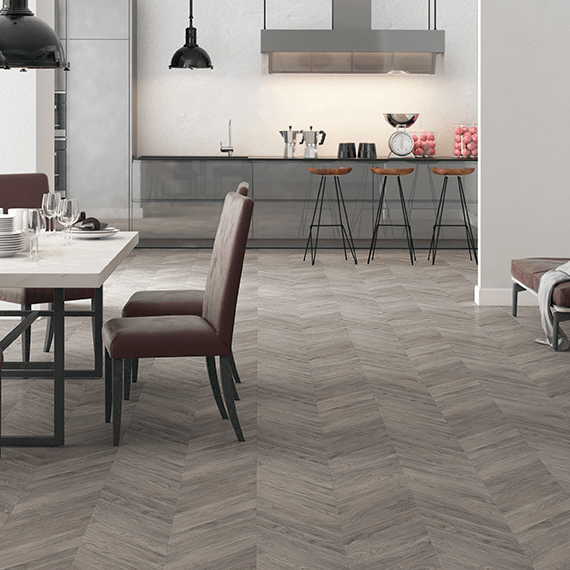 Likewise, we have planks of different sizes, bevelled designs, 8mm plank thicknesses, hyper realistic finishes 100 % synchronized, thanks to our unique EIR technology (embossed in register) and models that add character and sophistication. A wide range of options that allow you to choose the best option for any situation. FAUS has always maintained a strong commitment to nature and the environment. For this reason, we are part of the PEFC (program for the recognition of international forest certification) that promotes the sustainable management of forests, and the FSC (Forest Stewardship Council). Both accreditations represent the largest certification system in the world, covering more than 240 million hectares of certified forests, which accounts for around two thirds of the world’s forest area. 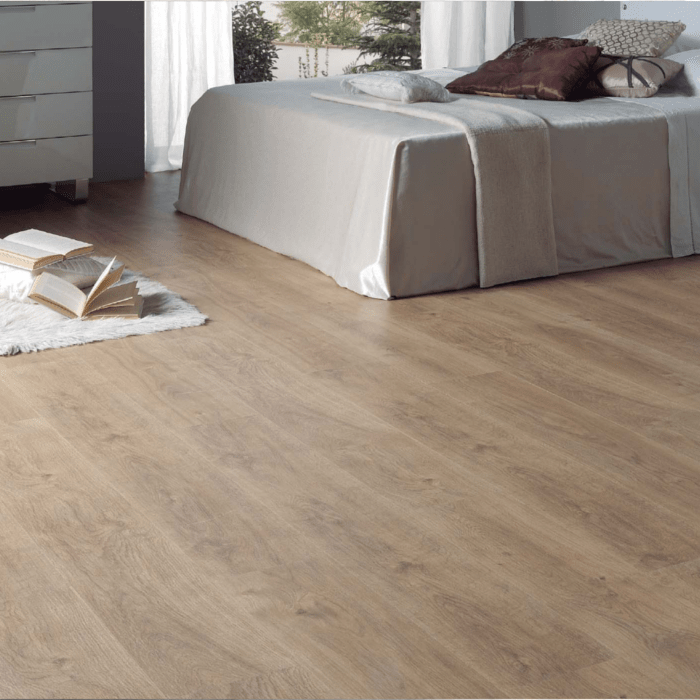 One of the biggest advantages of FAUS laminate flooring is that they are easy to install, without works, without getting dirty and in a very short time. That makes them the ideal product to reform any interior room, allowing to adjust the price of the work and being cheaper to assemble floors than other types of materials. The installation is made without using any type of glue or screws, but it is a floating assembly that is executed on an underlay that has acoustic and thermal insulation properties that helps to improve the comfort, quality and energy efficiency of the houses and premises. 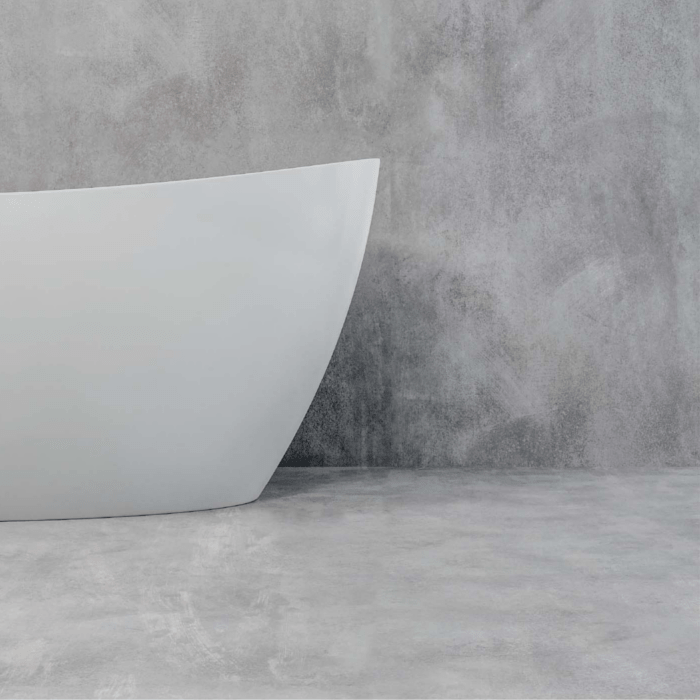 Quality that is one of the most demanded by architects, engineers and technical specialists, who seek to make their projects more and more economical and of high quality. What opinions do our clients have of our floors? FAUS floors enjoy excellent consideration by our customers. They offer excellent results and maintain all their splendour as the first day. They have great technical characteristics, withstand the passage of time, can be used in commercial areas with very intense traffic, has a board with hydrophobic treatment that prevents swelling, the edges are sealed around the perimeter, have a high surface resistance, are healthy and respectful with the environment, they are easy to clean (besides hiding the dirt) and can be used with radiant heating systems. They are ideal for families with small children, homes with pets, offices with great traffic of people, shops, residences and all kinds of spaces. All this ensuring that you are not going to have any problem with the product. Our floors can be purchased in many establishments and in almost all parts of the world. Despite being a Spanish company, we have a clear international vocation, as it puts in our name FAUS International Flooring. Therefore, in addition to selling in Spain, we reach many countries, such as France, Portugal, England, Italy, China, Taiwan, United States, Poland, Ukraine, Russia, Mexico, Uruguay, Colombia, and many more. All our designs are for sale in the most exclusive and specialized stores in laminate flooring, decoration and architecture. 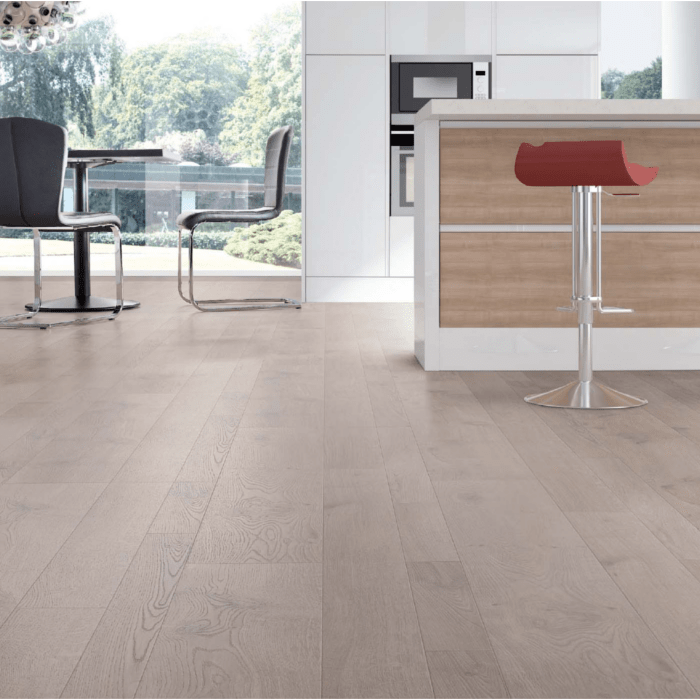 You can also go to our online website and click on the “Where to buy” section and indicate the province or region in which you want to buy our floors.